Welcome to Engineering Hindustan Manufacturer & Exporter of Electromagnetic Clutches & Brakes. The company was established in the year 1974, at Mumbai. By Utilization of most advanced technologies we are Specialist in Power Transmission.Excellent customer-support service, Innovative designs & Longer life of products are some of our strengths.Our product line covers Machinery Parts, Friction Products, Telescopic Brushes, Clutches & Brakes. We offer clutches and brakes that are tailor made and designed as per the customers requirements.Electromagnetic, Mechanical, Hydraulic & Friction Material Sintered are the types of Clutch Plates. 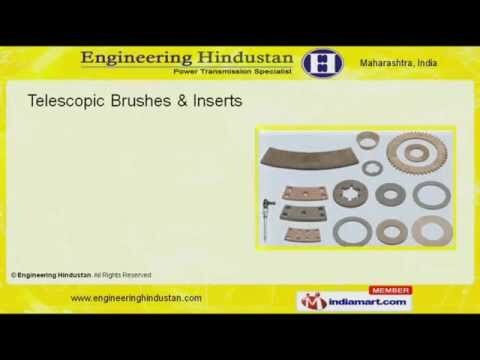 Our Telescopic Brushes & Inserts are best in the industry amongst others Lead Screws, Racks, Split Nuts, Shafts & Gears under Machinery Parts are widely appreciated in the market.Graphite, Friction Plates, Semi Metallic, Segments & Roll Linings are some of the well known types of Friction Products.